Yosemite National Park calls to most of us: the extreme outdoor enthusiast, the quiet nature observer, the family camper. Even those without a love for most National Parks find themselves wanting to visit the fresh water cascades, the granite domes, and the lush valley. Once there, the park is overwhelming: what should I do first? What if I skip the best hike in Yosemite? 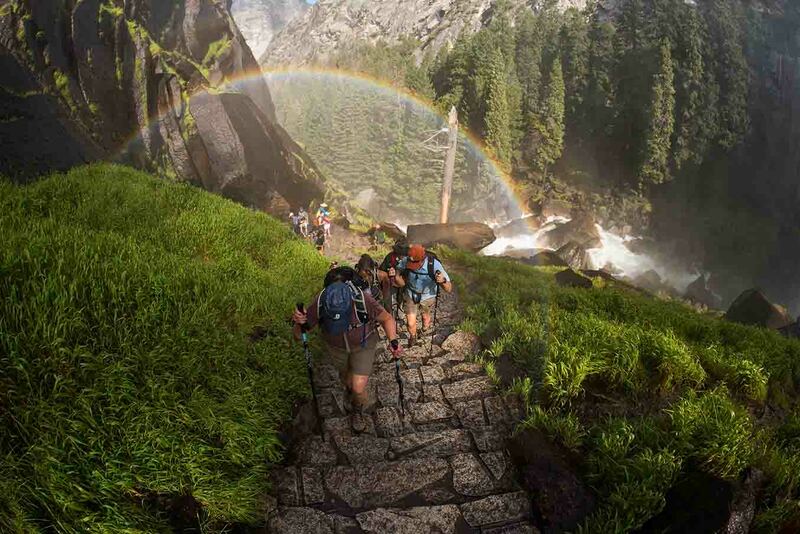 What if I choose a must do hike in Yosemite and it’s too hard for me. This blog is here to help! Whether you’re new to hiking, or you are trekking with little ones or grandparents, or just want to ease into the grandeur of this intimidating park, these are the best easy hikes we recommend. This is a wonderful hike between May to July to see the base of Yosemite Falls (Lower Yosemite Falls, to see upper Yosemite Falls check out our backpacking trip). It is only .5 miles roundtrip from the trailhead or 1.5 miles from Yosemite Village. Give yourself 15 minutes to 1 hour, depending on how entranced you are by amazing waterfalls. This is the best of the three groves of giant sequoias and they are a must-see, and several loops exist between 0.3 mile and 7.0 miles. Depending on the loop you take in the Mariposa Grove, you can get anywhere from a 0 to 1,200 feet elevation gain/loss. Give yourself 1 to 4 hours because even the shortest loop will require plenty of ‘whoa’ time. 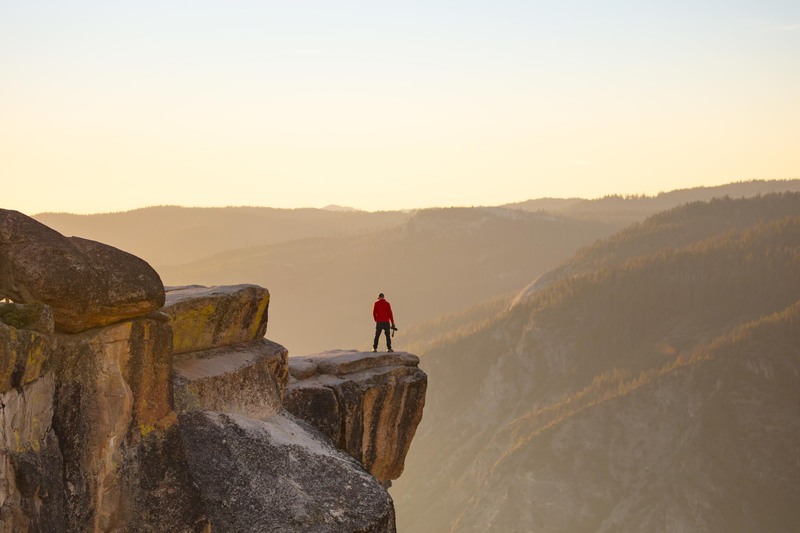 The Taft Point and Sentinel Dome hike via the Pohono Trail is the best easy to moderate hike in Yosemite. Why? Because it has the fewest tourists. Up on Glacier Point you get incredible views of Yosemite Valley from above. The hike is about 5 miles and starting at 7,700 feet elevation at the trailhead, there is a loss of 200 feet to Taft Point, then a gain of 800 feet to the top of Sentinel Dome, followed by a loss of 600 feet back to the trailhead. You’ll need 3 to 4 hours due to all the amazing views of Yosemite Valley from above. Looking for the best day hikes that provide more of a challenge, get you a little deeper into the Yosemite backcountry, and off the tourist-trodden paths that are listed above? These are the routes for you. If you’re hoping to head into the high country for more moderate Yosemite hikes, keep in mind that you’ll be hiking at high elevation which adds an element of challenge. 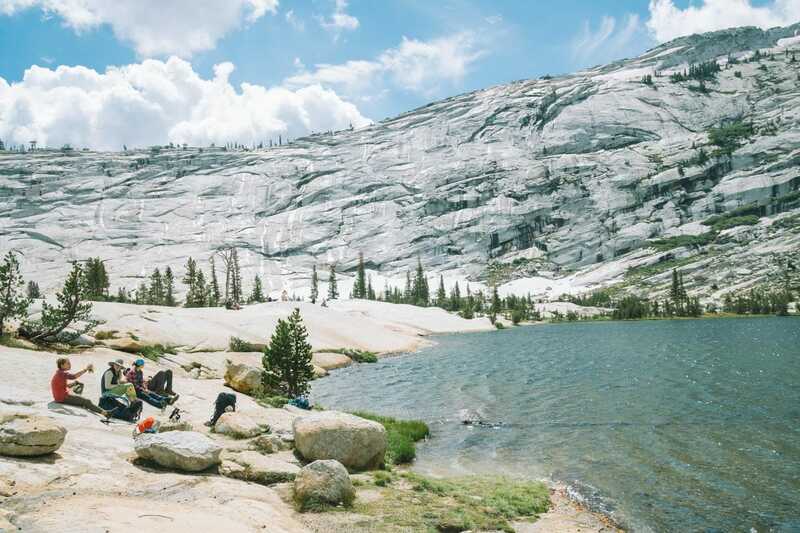 If you’re headed out of the valley to see Tuolumne Meadows or anything on Tioga Road, this the Cathedral Lakes hike is the best day hike in the area. It is an 8-mile roundtrip hike to see both Lower and Upper Cathedral Lakes. Expect to take 3 to 5 hours to complete this hike. A picnic at one of the lakes is always a good idea! 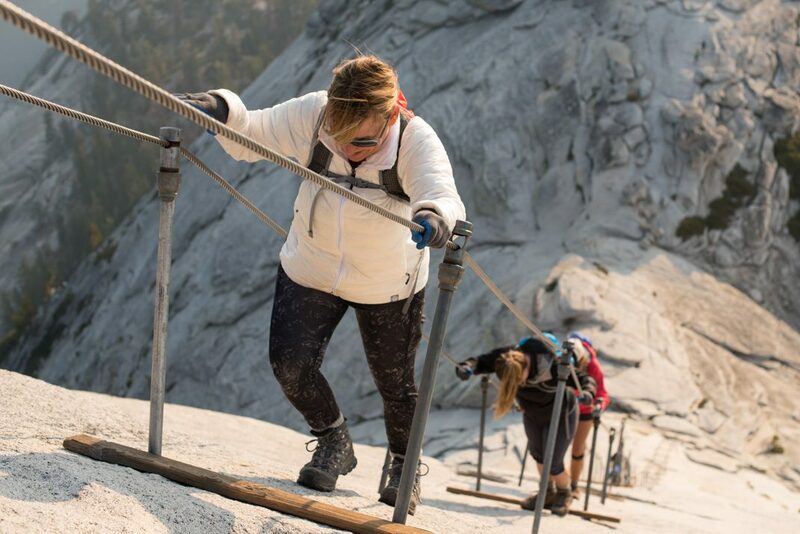 Bookended by the overly popular Mist Trail and Glacier Point, the Panorama Trail offers lesser-known but equally spectacular sights such as Illilouette Falls and Panorama Point. Start in the valley if you love uphill, and start from Glacier Point if you’re a downhill fanatic. This is a long hike – 8.5 miles one-way. You can use the park shuttle to loop back to your start point. Give yourself 4.5 to 7 hours, the latter being common for the uphill route. Hiking to Glacier Point is 4.7 miles one-way or 9.4 miles roundtrip with a gain of 3,200 feet to Glacier Point. To hike it one-way, use the park shuttle system! Give yourself 2 to 5 hours one-way depending on your up-hill speed, and for an extra challenge and more breath-taking views, combine this hike with the Panorama Trail! You can check out Upper Yosemite Falls from below, or you can hike all the way to the top and look down at the crowds! This hike is 7.6 miles round-trip with a 2,559-foot elevation gain to the top of the falls. Give yourself an entire day, 6 to 10 hours, to complete the hike. For an extra treat, continue another 0.9 mile (1.8 mile roundtrip; total hiking distance would be 9.4 miles and 2,969 feet elevation change) to Yosemite Point, one of the best views you’ll ever experience in the park. If you’re out to do the Half Dome hike, read more about it in our 7 things you need to know about Half Dome blog. But to cover the basics: get your permit (it’s REQUIRED), check the season (usually the cables are accessible Memorial Day through Labor Day but this varies based on weather), watch the weather (people have died due to wind, rain, or lightning on Half Dome), and make sure to have a big, bright-colored marker for checking this one off your Bucket List when done! Finally, if considering an overnight (my preferred method), then camping at Little Yosemite Valley is perfect, although be prepared to see bears. 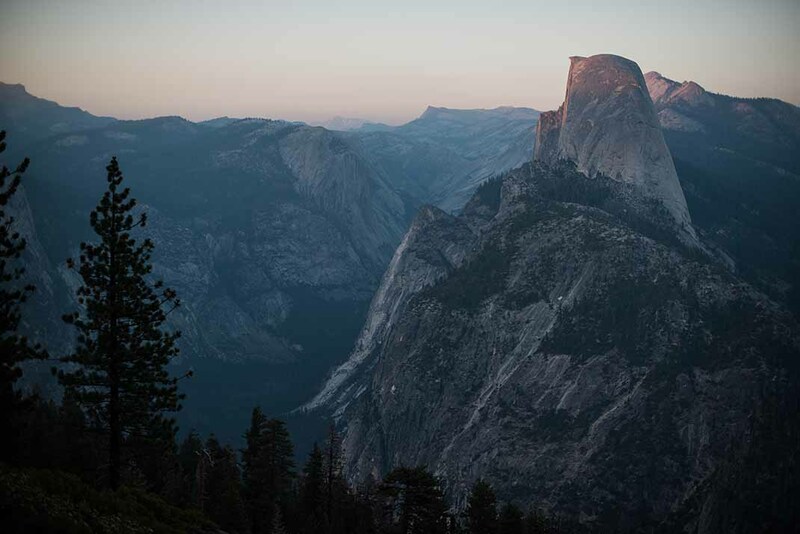 The total hiking distance is 14.2 miles roundtrip, with a 4,842-foot gain to the top of Half Dome. Give yourself 10 to 14 hours to hike Half Dome, or better yet, split it into at least two days and find adventure in a Yosemite Half Dome backpacking trip. 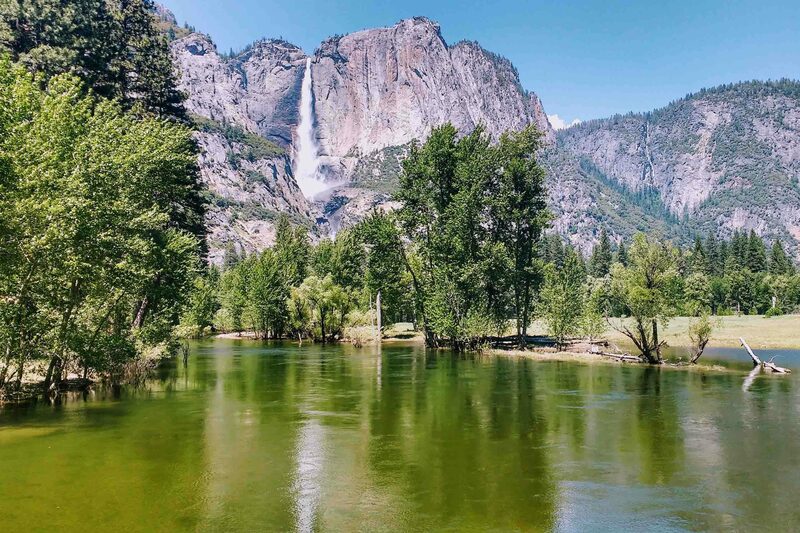 There is no one perfect way to see and do everything that Yosemite National Park has to offer, but these hikes will give you a good starting point! Whether you’re looking for easy, moderate, or hard hikes Yosemite National Park is an incredible teacher and trail partner!